Boundless creativity dwells within you. Welcome. I'm Dr. Havi Mandell. I invite you into this world wide web woven space textured in love and swirling colors, a sanctuary to breathe into your heart and soul's deepest longing and most wonderful vision for yourself and your life. This is a "you can't get it wrong" zone, I promise, with magical love sparks flying around reminding you of who you truly are--your essential yumminess ready to step out into the light with a vision and way of making this world shine as only you can do. Come explore, play, dive in, doodle, reach in, and reach out. The time is now. The answer, the special gift, is you. Here is a from-the-heart-in-the-moment Havi welcome. Art is the gateway to your wild and creative soul. Through the process of creating art, you uncover a sacred path into the precious alchemical world within yourself, a treasure hunt into the sparkling gold of who you are and the power that comes from owning that you are, indeed, a creator. It is a sacred opening, a threshold, a wild dance into places deep within your heart and through the ageless layers of your soul, those places waiting for you to notice them and give them their freedom. For me, painting has provided shamanic journeys into the worlds within me, a kaleidoscopic wild ride into all the ways the gold and light and power of who I really am seek to blossom and shine fully into my life and my world. It deepens my spiritual practice and connection to Source and to Earth. 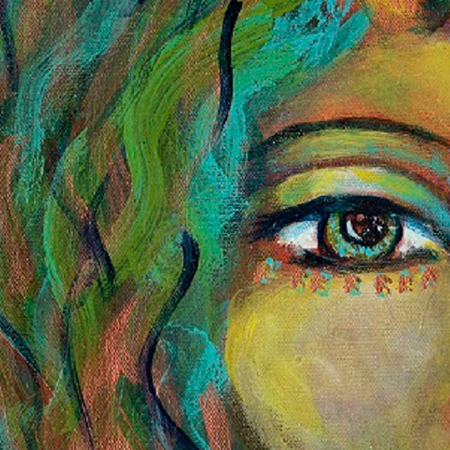 I invite you to journey with me into your creativity, your beautiful heart, your meaningful soul work, and your bliss. "I have rarely encountered a more wonderful woman or teacher. We have led workshops together both online and in person and served thousands of women students over the years. Her breadth of knowledge from diverse spiritual topics all the way to in-depth psychology makes her the one our students go to for help. She can be trusted with the hearts and minds of souls on a tender search for the Divine. She is also a gifted artist and writer who brings her creativity into her work so that all that she creates has beauty. There are so many things I can say about Havi, but more than anything, it is her love that I wish to celebrate. She cares deeply and always goes above and beyond. " 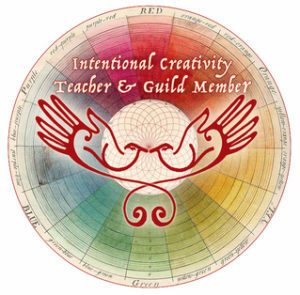 Shiloh Sophia McCloud, Visionary Artist and Teacher and founder of the Intentional Creativity Movement. Get creative sparks and art sent directly to your inbox. Unsubscribe anytime. Copyright Havi Mandell 2018. All rights reserved.